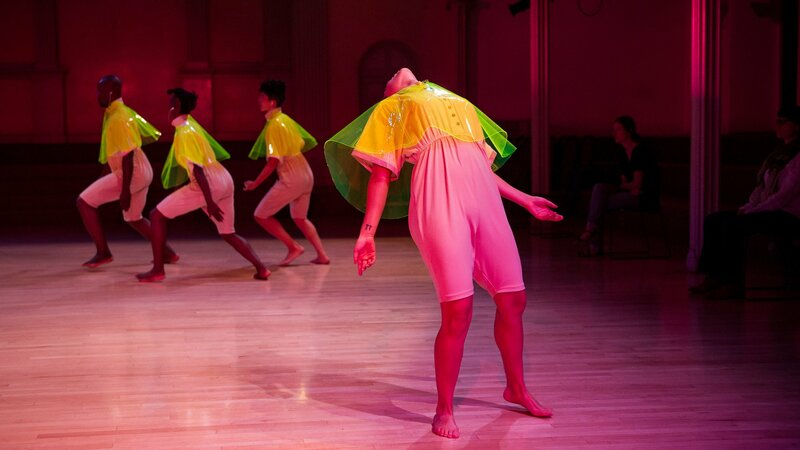 A right-angled object who lost her faith in being upright is the latest performance work by Taisha Paggett created in collaboration with sound artist Yann Novak, costume designer James Kidd, and dance artists Rebecca Bruno, Willy Souly, and Anna Martine Whitehead. The work is a meditative drift through parallel worlds, or a flattened universe, where past, present, and future exist simultaneously. 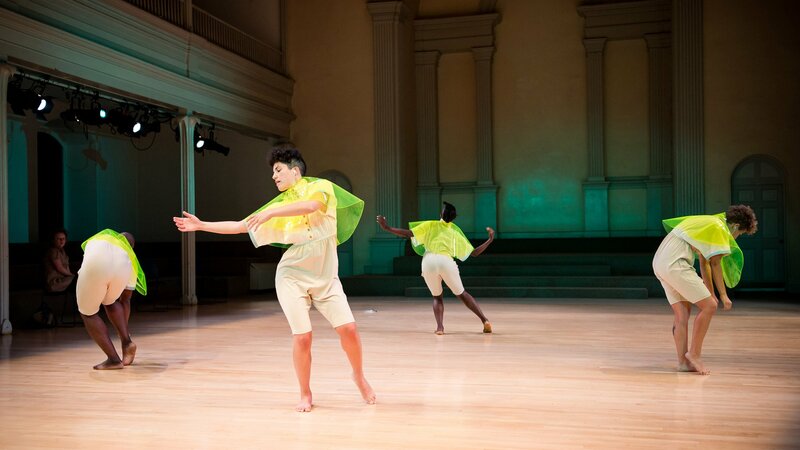 Predominated by a belief in zeroes and ones, magic and sacred geometry, angles and 8 counts, the dance draws its voice from desperate collective movement practices including color guard, Zumba, aerobics, cheerleading, 19th century Shaker dances and contra dance. 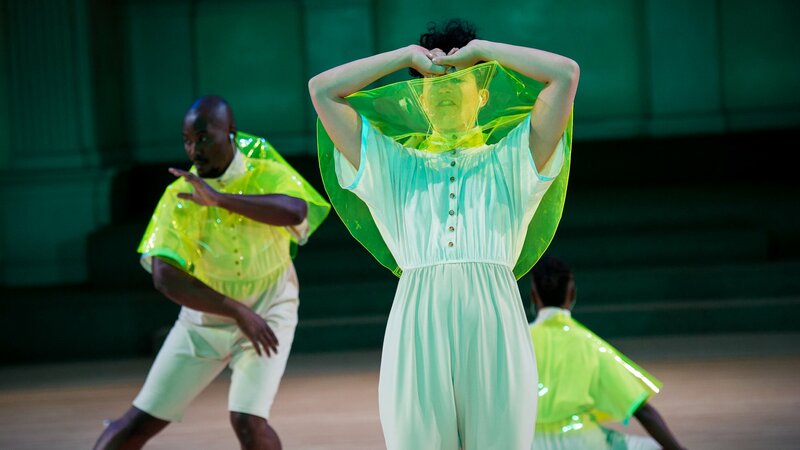 This half-evening dance work is a continuation of a project that Paggett has been developing over the past 2 years, centered around a trans-historical figure named Fila Buster.